Tips to make it easier for you quit smoking for good. Smoking is the single most harmful, easily available environmental factor which mankind inflicts on itself. It leads to premature ageing and is linked to a over a 100 chronic disease ranging from arthritis to dementia. Most people are aware it causes lung, head and neck, oesophagus and stomach cancer but it is less well known that smoking increases the risk of liver, cervix , bladder, kidney, breast, bowel and skin. Even though damage may have been done, its never too late to quit smoking – people benefit almost immediately after quitting. Patients who quit smoking after a diagnosis of cancer have a much better chance of cure than those who do not. This section describes the risks of smoking, the underlying mechanisms of harm and practical tips to help you, a friend or relative to give up. Carbon monoxide is a poisonous gas found in relatively high concentrations in cigarette smoke. It combines readily with haemoglobin, the oxygen-carrying substance in blood, to form carboxyhaemoglobin. In fact it combines more readily with haemoglobin than oxygen does, so up to 15% of a smokers blood may be carrying carbon monoxide round the body instead of oxygen. Oxygen is essential for body tissues and cells to function efficiently. If the supply of oxygen is reduced for long periods, this can cause problems with growth, repair and absorption of essential nutrients. Carbon monoxide can also affect the ‘electrical’ activity of the heart and, combined with other changes in the blood associated with smoking and diet, may encourage fatty deposits to form on the walls of the arteries. Tar. When a smoker inhales, the cigarette smoke condenses and about 70% of the tar contained in the smoke is deposited in the lungs. Many of the substances in tar are already known to cause cancer (see below). Irritants in tar can also damage the lungs by causing narrowing of the bronchioles, coughing, an increase in bronchiole mucus and damage (ciliostasis) to the small hairs which help protect the lungs from dirt and infection. Smokers are at greater risk of illness and early death compared to non-smokers. Those who smoke more than 25 cigarettes a day are 25 times more likely to die from cancer and almost twice as likely to die of flow coronary heart disease (CHD). An 8 times higher risk if associated with a high cholesterol or sedentary behaviour. Damaged to major arteries causing aortic aneurysms. Increased anxiety and risk of depression. Other cancer – pancreas, bladder, stomach, cervix, bowel, breast and kidney. Smoking 25 a day means 25 times more likely to die from cancer. Recurrent infections and general loss of efficiency in the lungs. Peptic (stomach) ulcers increase in incidence and take longer to heall. Increased risk of osteoporosis – brittle bones that are liable to fracture. Increased risk of erectile dysfunction and vaginal dryness. Pregnancy, miscarriage and low birth weight is more common. Blood clots – deep-vein thrombosis, pulmonary embolism, strokes. It is never too late to quit smoking. Breaking the habit the greatest single step smokers can do at any stage in their life. When the daily assault of nicotine, carbon monoxide, tar and other poisons has stopped, the body begins to repair the damage. In terms of the successful treatments for high blood pressure, dementia, high cholesterol, heart disease and cancer, there is now strong evidence that smokers have a significantly lower chance of being controlled. In conclusion quitting smoking increases the chances of surviving heart disease and cancer, living a longer and healthier life. It improves the tolerance to treatments, saves a great deal of money, improves sexual function, stops harming other people, makes you more attractive and will gain the admiration of your friends, family and colleagues. Issues to help you quit smoking? Cutting down or stopping outright? Cutting down is less likely to work than simply stopping outright. Unfortunately, even if you do manage to cut down, the numbers tend to creep back up again. So once you have planned ahead and chosen your date it is better to stop outright. Diet and physical activity. Both of these have an important effect on your body. Stopping smoking is a major change for your body to adapt to, and a healthy diet and regular physical activity suitable to your level of fitness. Helping other people: When you smoke cigarettes other people around you are being exposed to its risk – passive smoking. It is a good ploy to think of the other people you are helping as well as yourself. Ask for extra help: If you have tried to quit and have gone back to smoking again, there are other things that can help such as joining a stop smoking group. Complementary therapies: There are some evidence that alternative therapies such as hypnotherapy or acupuncture can help and certainly do not do any harm. There are many different smoking cessation aids on the market. It is important to check whether the product is safe and effective before you spend your time, energy and money on it. If you are ever in any doubt as to whether it is safe for you to use a product, check first with your doctor or pharmacist. Some manufacturers claim very high success rates for their products, promising between 80% effortless success. But there is no magic solution. A smoking cessation aid can’t – Stop you smoking or make you want to stop. 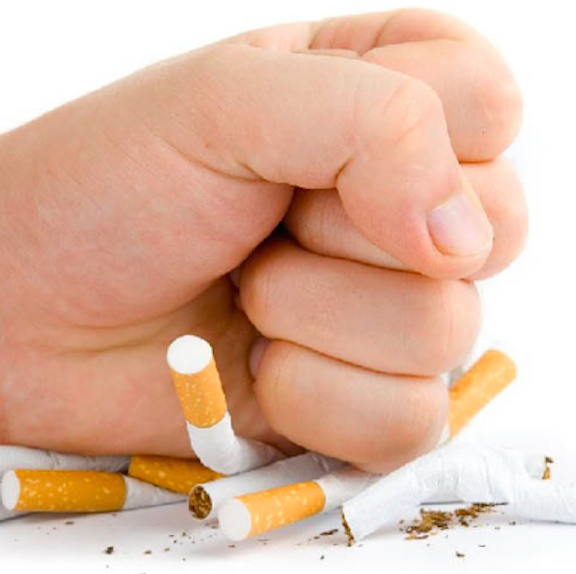 A smoking cessation aid can; make it less painless and easier; relieve withdrawal symptoms; Boost your confidence and morale; lessen the urge to smoke. These methods replace some of the addictive nicotine that you used to get from smoking. Nicotine replacement therapy has been well researched and tests have shown that, if used correctly, it will double your chance of success – which is good news if you found withdrawal very hard on previous attempts. If you smoke your first cigarette within 30 minutes of waking, then you are particularly likely to benefit from nicotine replacement therapy. Nicotine replacement products are generally safer than smoking but if you have, or have had, a heart problem you must check with your doctor or pharmacist before starting to use it. It is also important to use the product properly, so always follow the manufacturer’s instructions. Ask your pharmacist or doctor if you are not sure. In particular, you must stop smoking completely while taking nicotine replacement therapy. Nicotine replacement products may also affect the action of some drugs such as warfarin and beta-blockers. There forms of nicotine replacement commonly available include patches, gum, nasal sprays and inhalators. Your family doctors may be able to give you a prescription for nicotine replacement patches and gum but they are also available over the counter without prescription. 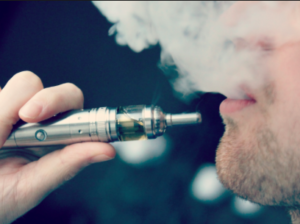 Vaping: E-cigarettes are battery-powered devices that heat a liquid, usually containing nicotine mixed with the chemicals propylene glycol and glycerin, and flavourings into a vapor that users can inhale. Every day we see the stories, in newspapers and on television, about vaping health risks. Public Health England and the Royal College of Physicians have concluded that the potential of serious vaping danger is probably very low. The RCP says vaping is “unlikely to exceed five percent of the harm from smoking tobacco. On the other hand, the U.S. Food and Drug Administration announced that its authority to regulate tobacco products will now extend to include e-cigarettes. The devices, along with cigars, hookah and pipe tobacco, will now be regulated in a similar way to conventional cigarettes. The new rules, which take effect on Aug. 8, also banned the sale of these products to people under age 18 both in stores and online. One trial has already linked their exclusive use to an increased risk of lung cancer and further trials are likely to find risks with e-cigarettes in view of the carcinogens they contain and the number of people using them. Nevertheless, they they are a short term useful tool to help you stop especially if you smoke mainly in response to cravings or stress and you miss the ‘hand to mouth’ action of smoking. Acupuncture: These are many and varied. 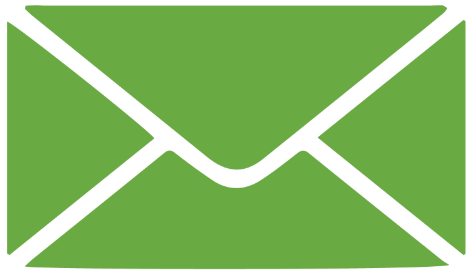 They are easily available through mail order, newsagents, health shops or pharmacists. Often they do not require a license under the Medicines Act. Generally there is not enough firm evidence to say how effective they are. Be wary of claims of very high success rates. Non-nicotine replacement products include nicobrevin capsules, scented inhalers, dummy cigarettes, tobacco-flavoured chewing gum, herbal cigarettes and filters. Other complementary therapies: These undoubtedly help some people. However, the results of research are not clear, so overall their effectiveness remains unproven. The two most popular forms of complementary therapies for stopping smoking are hypnotherapy and acupuncture. If you decide to try these therapies, it is important to find a practitioner registered with the directory of UK hypnotherapist. Support groups Joining a ‘stop smoking’ support group can help you feel less alone in your attempt to quit. Being with other people who are also stopping can provide all-important mutual support, a sense of being understood and a sense of competition! They are usually run over a period of weeks and take you through the different stages of stopping. Specialist smoker’s clinics, using nicotine replacement products, can improve your chances of stopping by between three and four times. Make a date and stick to it: Commit yourself to a time and date. Most people who successfully quit smoking do so by stopping altogether, and not by gradually cutting down. Keep busy: Keeping busy helps to take your mind off cigarettes. All ashtrays, lighters and unopened cigarette packets should be thrown away. Drinking plenty of fluids: Your mouth may feel strange -Keep a glass of water or sugar free juice handy and sip it steadily. Trying different flavours. Get more active: Try walking or cycling instead of using the bus or car. Use the stairs instead of the lift. Physical activity helps relaxation and can boost morale. Think positively: Withdrawal, irritability mood swings and poor concentration are common but keep reminding yourself they will disappear after a couple of weeks. Change your routine: Try to avoid shopping in places where you have previously bought cigarettes. Avoid the pub garden or smoker’s corner at work if there are lots of smokers around. Try doing something totally different: Until the cravings go, consider going to the gym instead of the pub. Try the theatre or art galleries instead. No excuses: Don’t use a crisis, or even good news, as an excuse for ‘just one cigarette’. There is no such thing. The next will be craved and the next, and so on. Treat yourself: This is important. Use the money that is saved to buy something special, big or small, that you couldn’t usually afford. Punishment and reward: Make a promise to yourself and a punishment if you fail (e.g. give money to you an organisation you dislike). Be careful of what you eat: You may get hungry when you are giving up – try not to snack on fatty foods. Instead try fruit, raw vegetables or sugar-free gum or sweets. Take one day at a time: Each day without a cigarette is good news for your heart, your health, your family and your pocket.